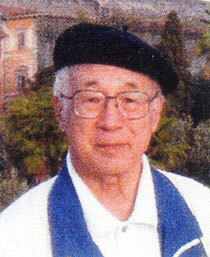 Yoshy has started editing or rearranging the letters from the late Mr. Seki Osamu to Yoshy. Since the main aim of this work is learning “His World written in Japanese”, let me omit Yoshy’s translations in principle. And Yoshy is happy to be able to come back to our past memories and to be able to come in touch with his reliable and gentle character through reading between the lines. He presented Yoshy his letters and postcards whose numbers are maybe over 100 though I’ve never counted them. BTW, as they are all “His Private Letters”, the part of his privacy must be omitted, of course. Mr. Osamu Seki, one of Yoshy’s great teachers and an Advisor of M-PEC passed away from malignant lymph tumor in his bed of a hospital on October 19th, 2011. He was not only well informed about Japanese history and classics, but also a famous novelist. I. e. He was, for us, an intelligent guide indeed whenever we needed to learn “the way of introducing Japanese culture in English”. According to his wife’s letter to me, he was repeatedly telling her “I was happy that I could be one of his friends as an owner of LL English School” furthermore, “I’m writing to Mr. Endo on the way to the end. …” – Probably the letter must be “Encouraging Message to the 5th M-PEC Festival”, Yoshy believes.